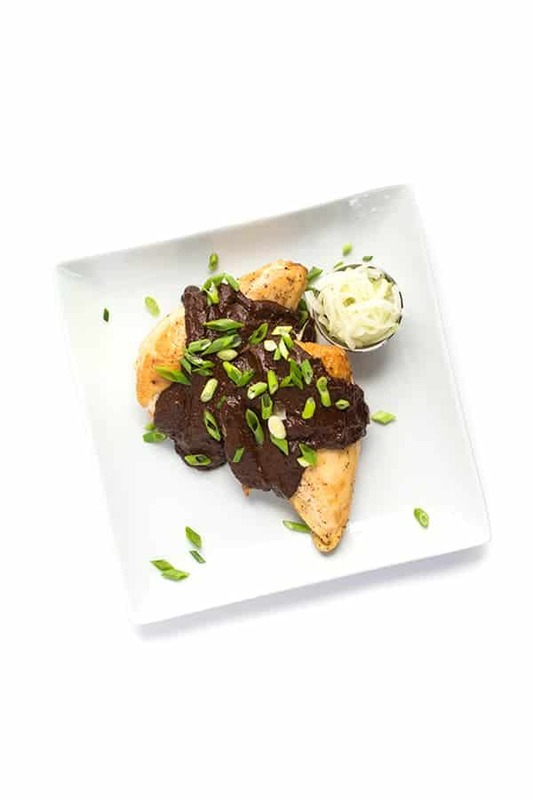 A staple in Mexican households, this traditional chicken mole recipe is made with warm spices, fragrant chiles and bittersweet chocolate. I’m glutton for punishment. It’s true. Remember when I recently shared a recipe for Posole Rojo, the Mexican pork and hominy stew? Well apparently it wasn’t enough to wet my appetite because I decided to tackle the big guns… authentic Mexican mole. Have you ever made mole from scratch? I’m talking, from scratch scratch? Yea, I hadn’t either. But with a little encouragement from my friend and photographer Raul, I decided to stop being a baby and man up. 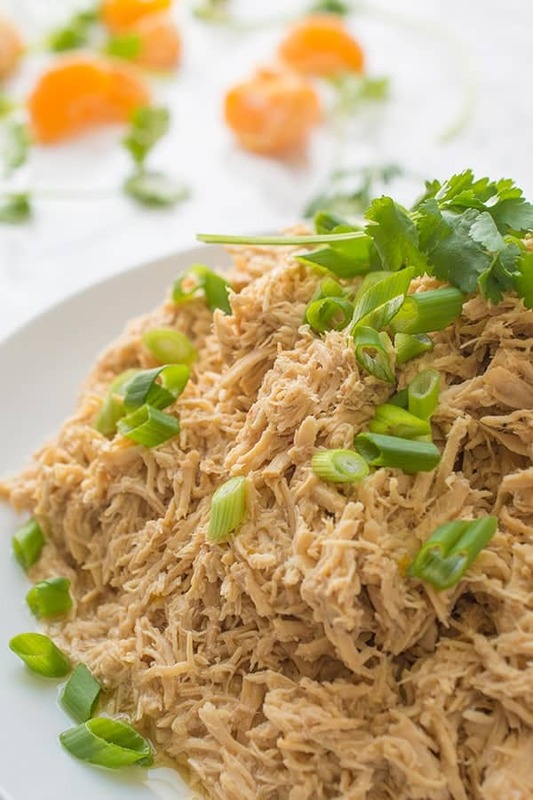 Is it the easiest recipe I’ve ever made? No. Did it require a lot of ingredients I don’t always work with? Yep. Was it worth every minute when I tasted the end product? Damn right. 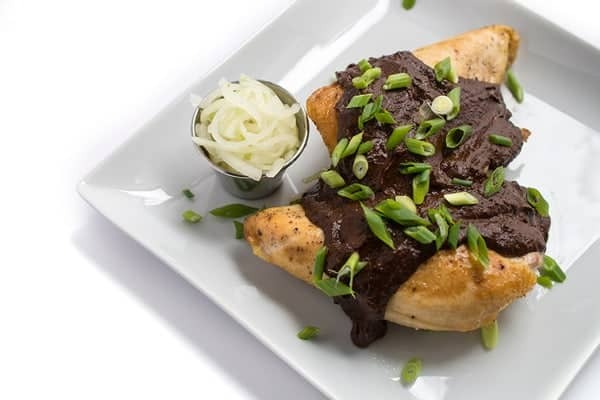 Made with fragrant chilis, warm spices, sweet raisins and bittersweet chocolate, traditional chicken mole is worth all of the time it takes in the kitchen. And even if it wasn’t, there is nothing more peaceful or relaxing than spending time in the kitchen cooking from scratch for the people you love. Heat a large, deep pan over medium high and add lard or oil. Once the fat is hot, about 2 minutes, add in the chilies in batches so as not to over crowd the pan. Using tongs, gently stir them around until they become aromatic and slightly soft. Remove from pan with a slotted spoon and place in a mixing bowl. Continue until you’ve gone through all chilies. To the same warm pot, add diced onion and garlic. Saute until softened, about 2-3 minutes. 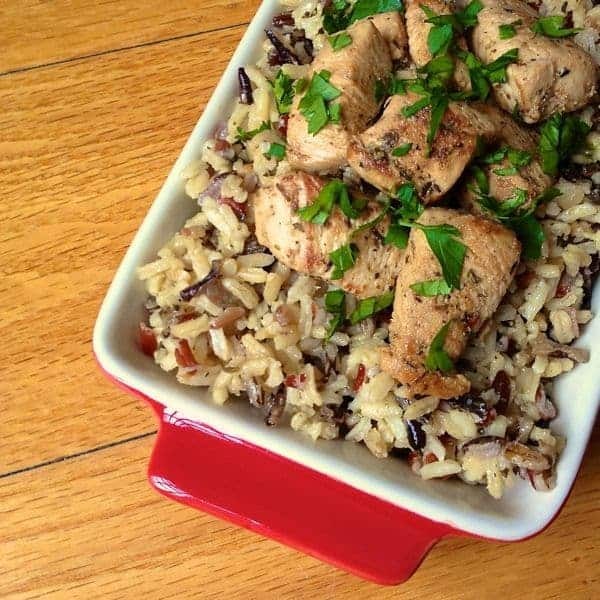 Stir in the raisins and almonds and cook for another 2-3 minutes. Next, stir in the sesame seeds, cloves, cinnamon stick, anise, coriander, peppercorns, thyme and allspice. Stirring frequently, let the mixture cook for 3-4 minutes. Stir in the tortilla pieces, tomatoes and tomatillos to the mixture and cook for another minute or so until the juices begin to release. Add the reserved sautéed chilis to the pan along with the chicken broth. Once the mixture starts to simmer, add in the chocolate pieces and salt. Stir then let simmer for 15 minutes. Remove from heat, cover and let the pot rest for 30 minutes so the chilies completely soften. Working in batches, slowly puree the whole mixture in a high speed blender or food processor. The mole can be stored in an air-tight container in the refrigerator for up to one month or in the freezer for up to a year. 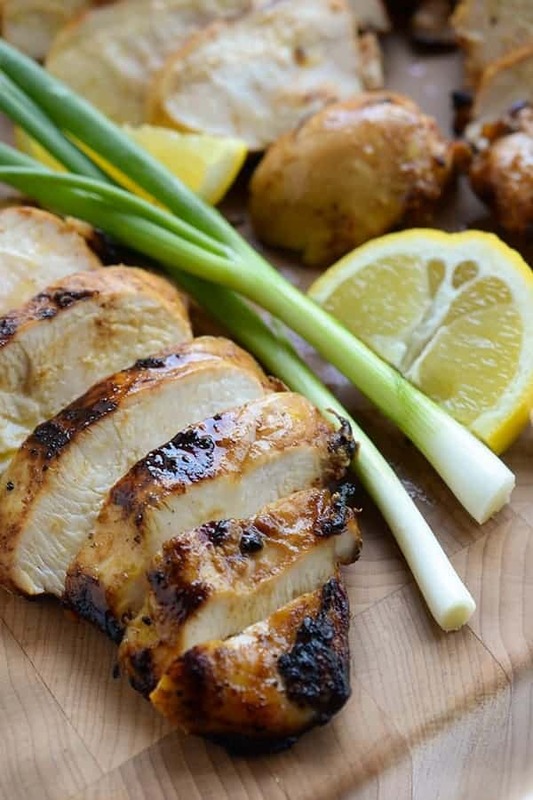 When you’re ready to eat, drizzle over roasted chicken. If the mixture seems thick, dilute with a bit of chicken broth to reach desired consistency. 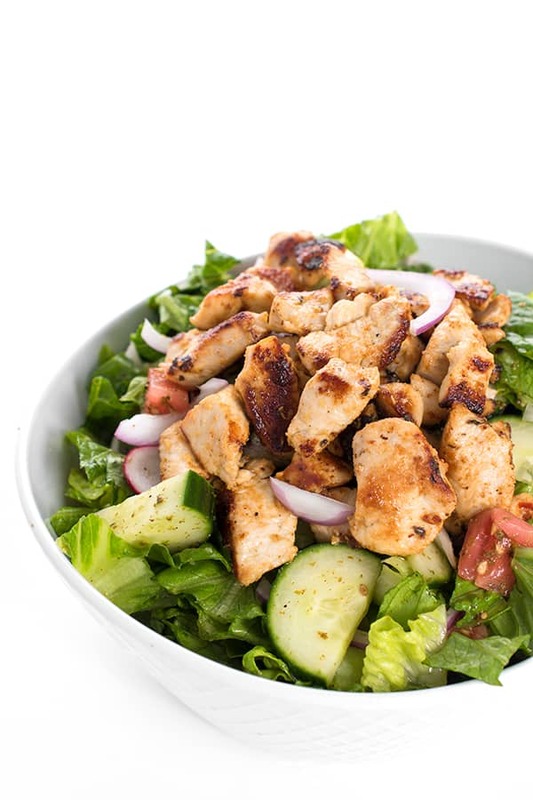 More Healthy Mexican Eats are just a few clicks away! I love a good mole. I make one with pecans and hibiscus, but have never tried the chocolate kind. When I get some energy I’ll have to try this. I’m glad to see that this recipe gives an accurate-sounding number of servings. The one I make says 10 servings, but it serves more like 24. Wow – pecans and hibiscus? That sounds amazing!! Liz, the recipe is from Pati’s Mexican Table. It is a mess to make, but well worth it. We like it on grilled pork chops & steamed potatoes. I love her site – I will check it out! 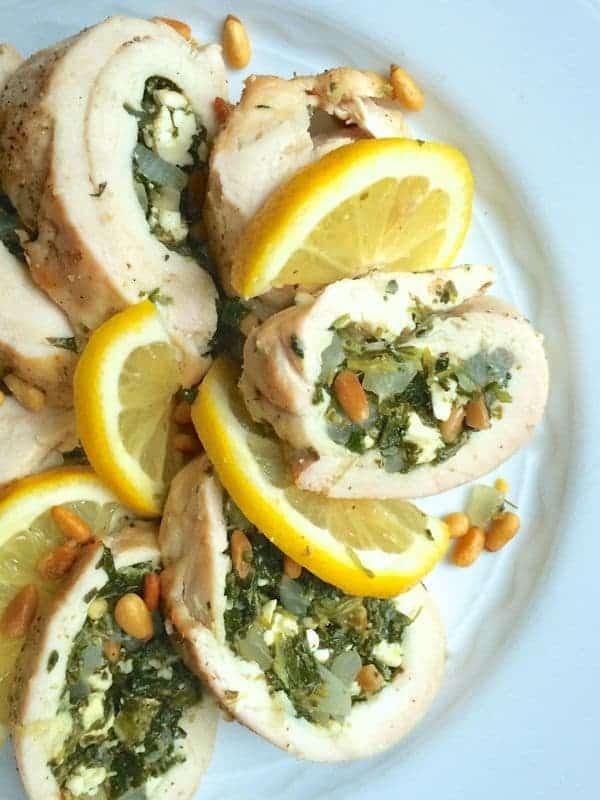 The cafeteria at the hospital that I work out make this dish every once in a while. I have never tried it, because let’s face it hospital food is often not very good. So happy to see what a mole sauce is supposed to look like and how it’s made. Oh thank you so much! I hope you try it! I will never say no to a big plate of Mole! You are slaying it this week, friend! 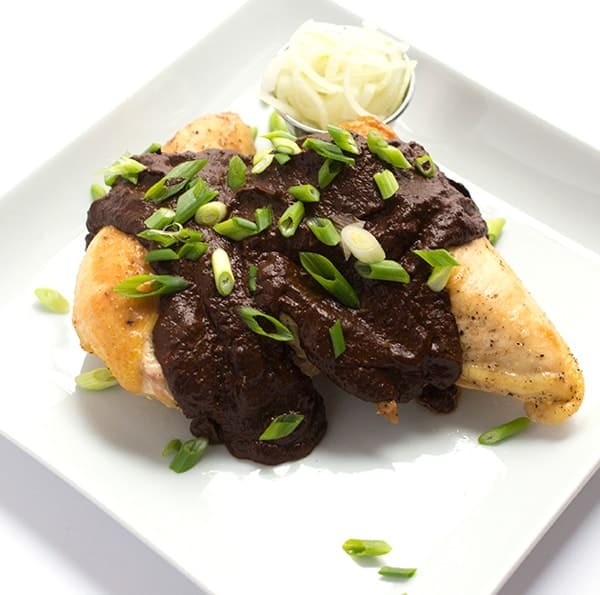 So what are your thoughts on cooking the chicken in the mole sauce? 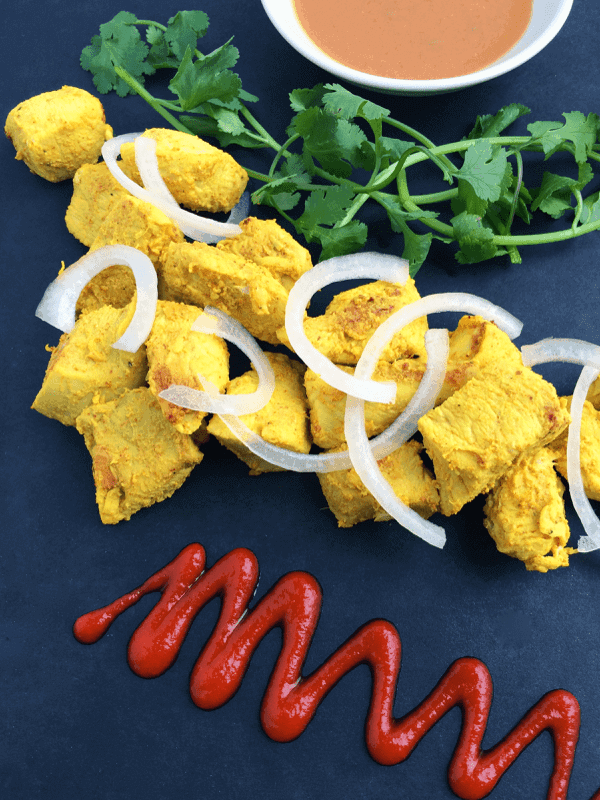 Hi Sue – It’s traditionally served as a sauce so I can’t speak on cooking it with the chicken but if you try it and love it let me know!